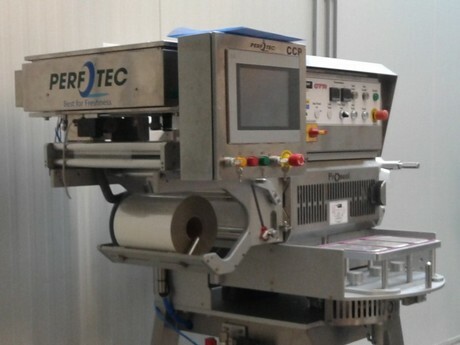 PerfoTec has announced their new packaging machine named the Roadrunner. The Roadrunner is a plug and play top seal packaging machine, which is integrated with the PerfoTec Laser Perforation System. It is developed by Pro-Seal and PerfoTec for companies which already have a top seal machine and want to explore the technology from PerfoTec. "The Plug and Play solution enables packers and processors to test the possibilities in their own environment and experience the benefits of the PerfoTec technology within 2 weeks. They can now easily compare it with their current packed products and with pre-perforated films or no perforation at all." "The Roadrunner consists of a Pro-Seal GTR Trayseal Machine and includes the PER 30 Laser from PerfoTec. It also comes with test material like punnets and Sealappeal PSF – an ultra-transparent and easy to peel film," PerfoTec claimed in a press release. PerfoTec plans to show off their new machine at Fruit Logistica 2017 and can be found in Hall 4.1 / C-13.